We have expertise in Graphic Design, Web Design and WordPress Theme Design. Additionally, we have coding skills in mobile responsive HTML/CSS and WordPress Development. We also offer Ecommerce development in Magento and Shopify. Send us a message to discuss the project. "Great team to work with! This is our second project with them and we plan to do many more with them as well. You can’t go wrong with GenDesign! " "They are great to work with. I will use them again!" "Great work, look forward to making this design a functioning store. " "Fast turn around but limited design ideas." "Great job on another website. Will work together again." "GenDesign is great! They were able to handle feedback and deliver results." "Great job on this website! Thank you." "Is a cheat and demands more and more money after making deals. Doesn't know how to run a business. Very unsatisfied. " "Amazing Team! These guys seriously rock! We loved working with them and are already working on a second project with them, right after the first and we will continue to work with them in the future on more projects. They are quick to get edits back and ..."
"I had a great time working with Gendesign. Very professional, did exactly what I asked and went above and beyond. They should definitely be a Top Level Designer. I will gladly work with them on future projects for my site and I would recommend working w..."
"Muito dedicado, responde rápido, criativo!" "A+++ Magicians! Had a really difficult problem and Gendesign came through again. Very Happy with them. " "Extremely professional - will definately make use of their services agin "
"Gendesign was great to work with - they were very creative and their design gave us exactly the look and feel that we were looking for. They were also very responsive throughout the design and development process. They provided frequent updates, and r..."
"Excellent design work, great communication! All that you can ask for in a "sparking" designer ;) "
"Gendesign has realized the project very fast, communication was excellent. We are very happy with the landing page provided, it has a very professional look and is suitable also for mobile devices. " "Excellent communication and great design work! " "Answer fast, very criative and attentive! Very good!" "quick, responsive good design advice"
"gendesign understood our requirements best and how to implement them in our best interests. The cooperation was very uncomplicated, the communication fast and simple. We hope that gendesign will continue to participate in competitions organized by us in..."
"great result with a fabulous design"
"fast and furious, highly recommended"
"Great designs, very responsive, quick turn around time. We've had a few last minute requests that they've been very accommodating with. Highly recommend." "Fantastic design! Very responsive and extremely patient with our many revisions. Highly recommend and will definitely work with Gendesign again. In fact, we have hired Gendesign to do the coding of the custom wordpress theme they designed!" "Good design, helpful with the file transfer"
"Great work, quick turnaround, highly recommend." "I love that they listened to my requests and them provided promptly. Courteous responses throughout the whole contest!" "Gendesign did an awesome job on this project! Thanks so much for the attention to detail. " "Excellent work, I'm very pleased. Will do business with the designer again in the future. Thank you for the dedication, effort and quality, Gendesign :)"
"Excellent design! Great to work with!" "Gendesign really delivered on our most recent project. Thank you so much for doing a great job." "Excellent processing - excellent result!" "Good job. Really liked your work"
"Always nice working with GenDesign, fast and innovative results!" "Awesome designer. Easy to communicate with & did an awesome job, cheers!" "The work was excellent and exactly to our spec. Will absolutely work with them again." "Great work, fast revisions, loved the styling." "Very creative, modern and high quality designs. A pleasure to work with. Very patient with us as the project took much longer than anticipated due to unforeseen circumstances. Highly recommended! " "They did a great job working with us on the coding of our site and our various changes. They were available almost all the time and we enjoyed working with them so much that we hired the team for a second project. Highly recommend this team. " "Great design and good correspondence. Design was exactly what we had indicated we were looking for." "Gendesign is a very skilled coder." "Great work, did as many changes as I needed until it was what I wanted." "We were very pleased with the design of this additional page. " "Very thorough, and very above average. I would 100% recommend and work with them again." "Great, unique, original design. Great communication." "Great job and best quality.. thanks for the team"
"Great design, very responsive with feedback and quick turn around on updates." "Fast, effective, and responsive. Good work." "Thanks all the team for this best job"
"the best designers & the most care we got "
"Long Patience bring the Perfect & Unique Design Thanks Amit .. It was a very nice experience to work with you"
"They did a great job of understanding exactly what I had as a vision. They made all corrections and edits asap and produced a quality product." "Amazing output, will be back again!" "Gendesign did excellent work and responded to my short time frames. A pleasure to work together. " "Good communication, just some revisions required which we are still working on." 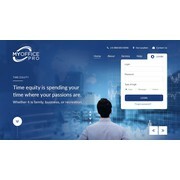 "Very good design work, excellent use of the very detailed background information for the job brief, excellent communication around adjustments, changes and improvements to the webdesign proposal, positive work attitude and very good english skills for ..."
"Overall, good experience!! Skilled programming and timely updates, but can pay more attention to details. " "The job is to design a strong front page. The team is very responsive to the requirement and turnaround time is fabulous." "Thank you. We look forward to future work." "Best Designers , Fast Response , High Quality Websites"
"Nice iterative design & implementation for our brand-new community website !" "Looking forward to our next job together." "Awesome. We had very specific guidelines for our web design project. 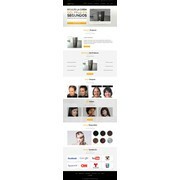 Gendesign's team followed our style and content guidelines exactly and delivered a stellar homepage design. We've already begun using them for more work." "Very responisve and helpful on three projects"
"Working with Gendesign was a positive experience! Quick responses and very efficient work!" "Gendesign did an excellent job with our website design. Extremely professional and responsive. The designs were spot on. Highly recommended. " "Gendesign did an absolutely awesome job at capturing my vision in just one take! I highly recommend their work. " "Gendesign created a WordPress website for my new start-up company, based on the corporate identity pack created by another designer. The process was fast, efficient, and the work was very good. Gendesign is easy to work with, receptive to changes in d..."
"Great team to work with, knowledgeable, talented and punctual. " "We hired Gendesign to design a realtor website. The project went smoothly, Gendesign is a good designer and good with communication. Overall, a great experience and would consider using GenDesign again in future projects." "As always terrific work "
"Good work guys. Thank. " "Gendesign overall did a great job. Very happy with the output, pace of work, quality, attention to detail and responsiveness. I would definitely recommend Gendesign to other 99design competition holders." "This is a great team and they did an amazing job on our website. They were creative and helped think through solutions to things we wanted to accomplish. They were responsive and went the extra mile when we needed the help." 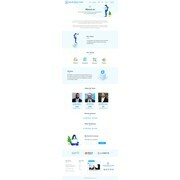 "Gendesign did a home page design for our company website. Amit was very responsive with fast turn-around time, and the communication was easy and effective." "Excellent work, very fast, efficient and professional "
"Your design had something extra, some special touch that we loved. You were also more than willing to include everything we wanted and you always offered brilliant solutions. Excellent job, couldn't ask for more!" "Very creative Capabilities and Outstanding Experience. My contact; Amit/Manish NEVER fails to deliver EXACTLY what I want. " 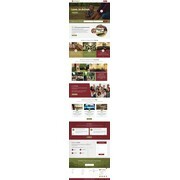 "Responsiveness was very good but could attention to detail was poor"
"Redesign of a homepage. Gendesign was a favourite right from the start. When we asked for changes they understood exactly what we wanted and kept us informed every step of the way." "Very good designer, very fast, recommended. thanks!" "Excellent designer, very recommended. Very fast. thanks!" "Very easy to work with and gave me a great design - it was exactly what I was looking for and was unique. I did not want a website that looks like every other website. Highly recommend Gendesign !!!" "Gendesign has performed html prep for a number of our designs now.They have done a good job for us." "Fast, friendly, and easy to work with. Highly recommended. Quick turn around on variations. Any requests or questions during the handover phase were answered promptly. We're very happy with the final product. A+ design work." "Hello, Gendesign performed really great work and quality designs. Fast and responsive, high quality work and very professional to work with. Would definitely work with them again! -AzoonaLLC"
"I couldn't be more pleased with the design that Gendesign created for my web site. He has a tremendous talent for finding just the right pictures that really tug at the heart strings. In addition, the overall web site design is colorful, simple and cl..."
"Great work.. Very unique design.. would love to work with again"
"Nice work, responded quickly to changes, highly recommend."